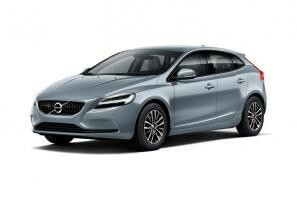 Find the best Volvo V40 leasing deals at CarLeasing.co.uk. Volvo V40 5 door was designed to fall in line and take on Audi and VW. Beautiful sleek lines, improved equipment levels and a flexible range of petrol or diesel engines gives it great appeal particularly to the younger generations. Sets high standards for safety in this competitive market. Find your perfect Volvo V40 by browsing our deals below. Choose from a range of optional extras and even insurance or maintenance if you want complete peace of mind. Our latest Volvo V40 leasing deals. Click the links below to view our latest Volvo V40 leasing options. 3 reasons to lease your next Volvo V40 from us. We deliver your brand new Volvo V40 vehicle for no additional cost.